Documentary: The Anonymous People ~ "To Change The Addiction Conversation From Problems To Solutions"
Just this week we learned about a feature-length documentary film, The Anonymous People. The documentary has not been formally released yet, it is in previews. It is a film about the 23.5 million Americans living in long-term recovery from alcohol and other drugs. Are you in long-term recovery? Maybe you have a friend or family member who is in long-term recovery. Just the other day a friend of ours celebrated 39 years of sobriety! On May 28, 2013, 7:00PM at the Menlo Atherton High School Theater Center for the Performing Arts (PAC) 555 Middlefield Road Atherton, CA 94027 The Anonymous People will be previewed. You can visit here to register for free tickets. The preview will be followed by a question and answer period with the filmmaker Greg Williams. The film is hopeful and insightful. Celebrating hope and recovery is a fascinating journey. 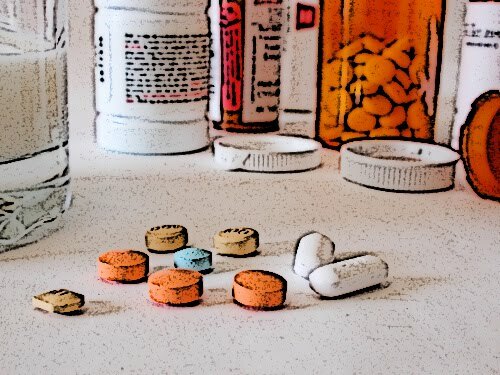 Often when clients finally enter treatment for the disease of addiction they have tried to find sobriety on their own or they have sought counsel from their primary care physician or perhaps they have reached a point in their life where they realize for the first time that they can't do it on their own. They need emotional support from their family members, perhaps they have reached out to their Employee Assistance Program via their employer, or maybe they have been ordered by the judicial system to seek treatment or face jail. Whatever the catalyst when someone enters treatment they soon realize that they are not alone and their treatment course will be guided by a team of professionals. This team may include physicians, psychologists, nurses, dieticians, counselors, social workers, and case managers. The team works together in both one-on-one and group settings, uncovering each participant’s strengths and gifts to help clients flourish in a drug-free life. This teamwork helps to establish a foundation of trust with the client. Recovery is possible. "The multi-faceted nature of addiction--its genesis, impact and treatment--demands knowledge and expertise in a variety of disciplines and approaches. One single treatment program can never address every kind of addiction or every person suffering from substance use disorders. Continuous assessment, monitoring and modification of treatment are necessary as the patient journeys from active addiction to life-long recovery. New developments in pharmacology, neuroscience, psychiatry, counseling and other avenues of treatment provide those who diagnose and treat addiction with a promising array of tools to apply to each complex situation." On Sunday, April 28, 2013, the ASAM conference program included a symposium The Addiction Medicine/Primary Care Interface: Models of Integrated Care. The presenters for this symposium were Alexander Walley, MD, MSc; Daniel Alford, MD, MPH, FASAM, FACP; Judith Martin, MD, FASAM. Perhaps you have had the opportunity to have a primary care physician whose practice is part of a group of physicians who are credentialed in various specialties. For example, there might be physicians who specialize in internal medicine, obstetrics & gynecology, orthopaedic surgery, sports medicine, primary care and pediatrics. This type of group practice makes it easier for a patient or an entire family, for that matter, to receive referrals and consults from each specialist. The addition of an addiction medicine specialist would be ideal so that if one of the doctors recognizes that a patient is struggling with alcohol abuse, prescription drug abuse or other co-occurring disorders a referral can be made immediately and the treatment course can be designed.